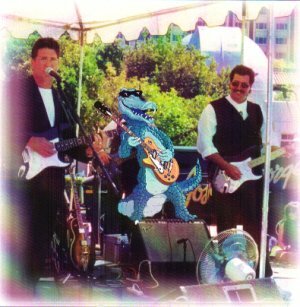 "The Blu-Crocodiles" are a 6 piece band that plays a variety of music designed to keep your party "rockin". When people describe this band, they say that it's like having "Huey Lewis & The News" or "The Doobie Brothers" playing at your event. "The Blu-Crocodiles" specialize in corporate events, weddings, festivals and anywhere else great, entertaining music is desired! !